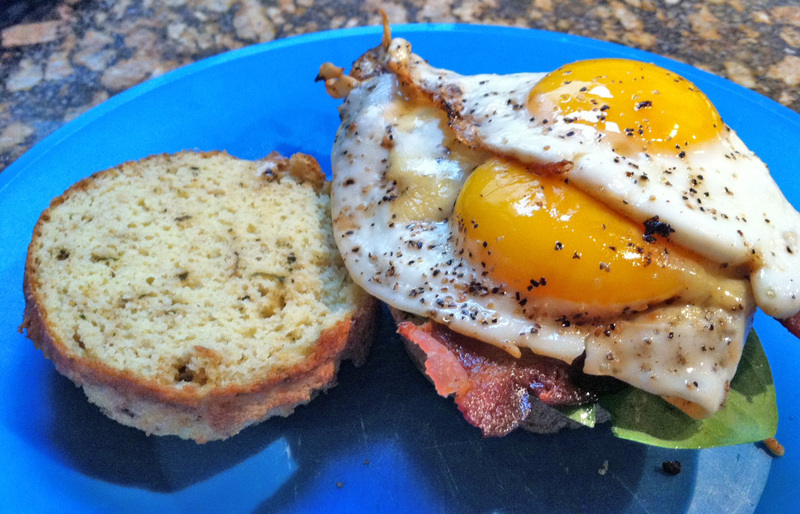 Best paleo breakfast sandwich ever? Since I like to get to the gym before the work day starts, this means rolling out of bed at the ungodly hour of 5:30AM (wah!). 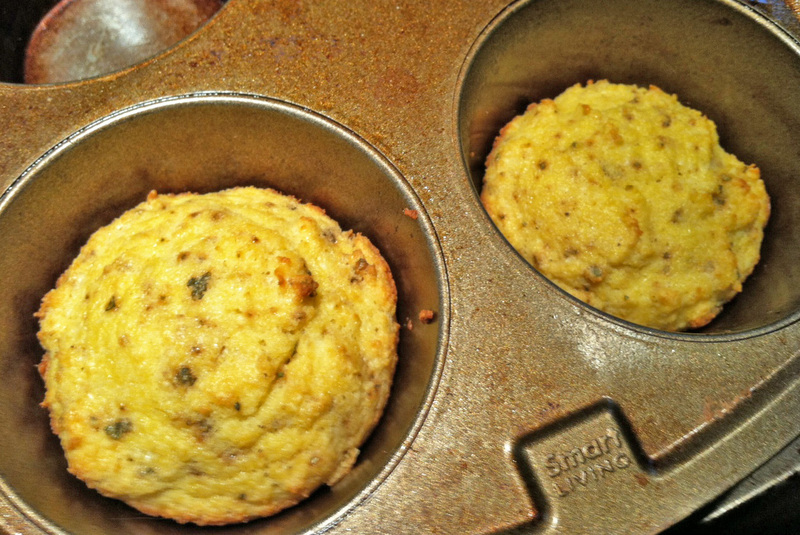 Normally, this wouldn’t be a problem, however, I tend to hit the “snooze” button quite regularly, which means scrambling to make it to the train station and little time for a luxurious breakfast (I typically rely on SB’s Paleo Protein Pumpkin muffins…recipe to come, they are delicious and portable). That being said, breakfast is my all-time favorite comfort food, most likely because my family did “breakfast dinners” a lot when I was growing up. Some of my most treasured memories include sitting around the table with stacks of pancakes, golden scrambled eggs and steaming mugs of coffee (with people yelling over one another to pass this or that). One breakfast item that I love to make is the breakfast sandwich. My sisters and I even had this great idea* to open a bar that served breakfast sandwiches on a conveyer belt during last call. Eggs are one of the most versatile ingredients to cook with. They can be put into a savory quiche or create the binding for a sticky bread pudding. Eggs are a great source of protein as well as a number of vitamins and minerals, including retinol (vitamin A), riboflavin (vitamin B2), folic acid (vitamin B9), vitamin B12, choline, iron, calcium, phosphorus and potassium. While many people have argued for eating egg whites alone because of their high protein/low cal content, the truth is that all of the vitamins A, D and E as well as the choline are found in the yolk. So even though the yolks are higher in cholesterol, banishing them from your diet may limit your intake of various essential nutrients. One important question we must ask is, “Are all 2 eggs laid alike?” The answer is NO! Like we talked about in last week’s post, the type of diet that the hens are fed makes a big difference in the nutrient content of the eggs they lay. For example, hens that are fed diets supplemented with vegetarian kelp meal produce eggs with a higher Omega3 content and pasture-raised free-range hens can produce eggs, which are lower in cholesterol and up to 7-times (7-times!!!!) higher in essential vitamins and nutrients. After researching for this post, I will definitely be more inclined to shell out the extra $1 or so for the organic, free-range chicken eggs next time I’m at the store. So, based on the most recent literature, it’s time to enjoy the egg in it’s entirety! This recipe incorporates eggs two ways, some in the biscuit as well as the friend eggs in the sandwich. I loved the flavors of this biscuit and they are definitley something you could play around with. For example, you could substitute goat cheese for the parmesan and basil or parsley for the oregano. The combinations are endless. Plus, as an added bonus, this biscuit sandwich is actually hearty enough to eat with your hands. Typically, coconut or almond-flour baked goods tend to be a bit more crumbly, but this biscuit stayed in one piece all throughout my dining experience, giving me countless ideas for how these can be used for different sandwiches in the future. ***If you have high cholesterol, always check with your doctor first about deciding which foods to incorporate into your diet. This recipe could be easily modified to use egg whites alone and turkey bacon. Previous Post How does the “Elixir of Life” taste? Nice recipe! I was wondering if you have ever tried to make these sweet like a McGriddle way with a cinnamon swirl…? This looks tasty, however it is patently NOT paleo. Cheese etc is not something included in a true paleo diet. Eating paleo means one eats foods that would’ve been available to our hunter-gatherer ancestors, who did not have access to milk from livestock because they were hunters. Not farmers. 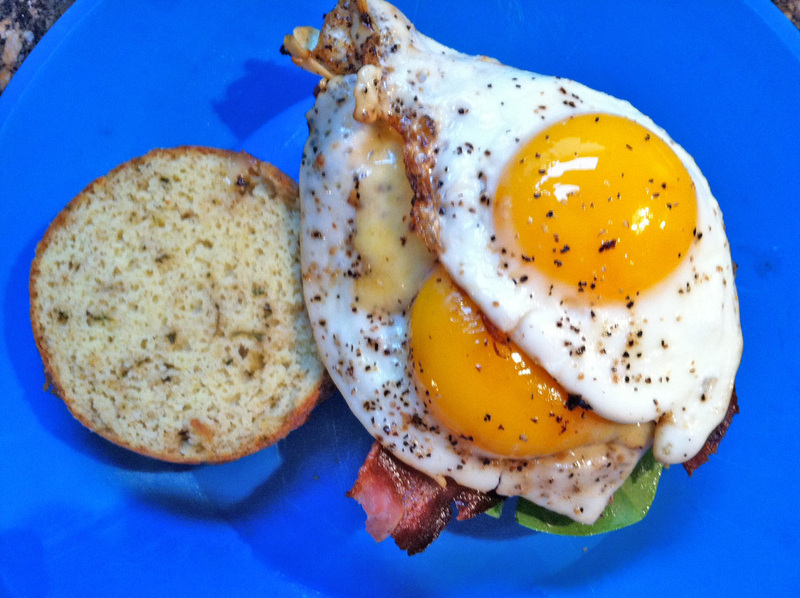 Pingback: 19 Breakfast Sandwiches That Will Change Your Life! As several people have commented on the addition of dairy (butter and cheese), I thought I would point out that as stated, we incorporate grass-fed cheese and butter in our household since it does not bother our stomachs and is a great source of protein. Feel free to avoid those and coconut oil can always be substituted for butter. Also, in terms of what is paleo or not paleo, here is a great reference from guru Mark’s Daily Apple on incorporating dairy into your diet, http://www.marksdailyapple.com/dairy-fat-healthy-paleo-primal/#axzz2xfY1jEXs. I find it best to avoid stereotype diets, and instead embrace “Paleo” eating as a “lifestyle” that focuses on fresh, non-processed foods that are of the highest quality and nutrients. Again, everyone should feel free to follow what works best for them and their families. The human body is a dynamic entity- embrace it! Have you tried freezing these biscuits and then just pulling out and reheating? Wonder if that would be a solution to cut back on morning craziness. Hi Jackie, I love this idea and I think it would work well. In fact, what I would do is freeze and then move one to the fridge before bed. That way it will be thawed by morning and a quick pop in the toaster, microwave or skillet and you’re ready to go. Thanks for finding my site- are you looking for any other specific kind of recipes?